I’m usually a little overwhelmed after a trip to Aldi because I buy a lot of fresh produce, enough for the week or longer, and I don’t usually have a place to put it all. If I cram it in my frig without processing it first (or just leave it to sit out), I end up with gushy fruits and vegetables to compost before my next shopping trip. 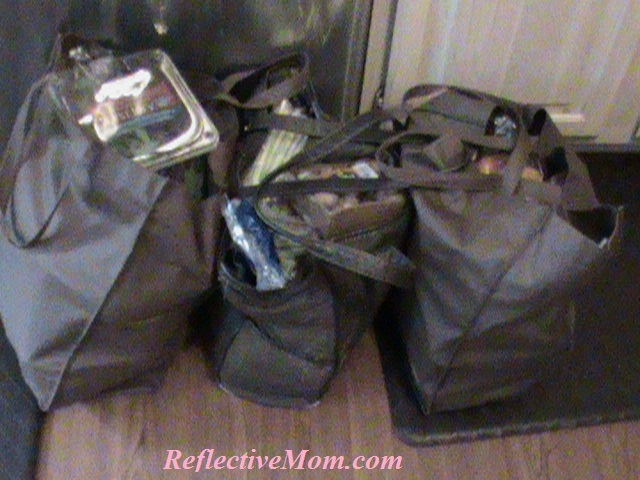 The key (for me) in meal prep is accessibility, which means washed and ready to go. 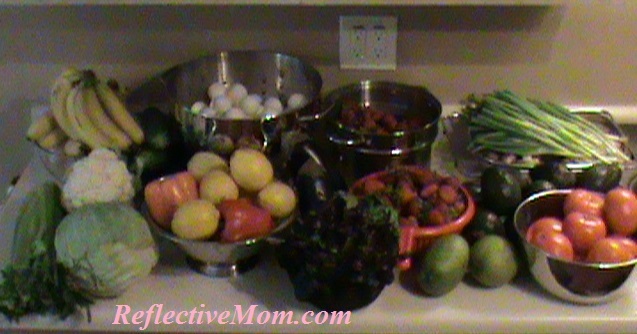 It’s like having a roadside farm stand right in your kitchen! Throw it away all at once! 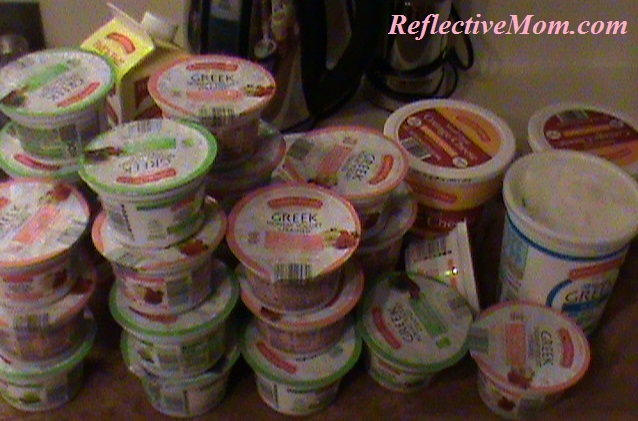 We’re not particularly committed to ONLY these two flavors of Aldi Greek yogurt but they were 33 percent off and the cheapest buy per ounce (yay)! Ready for lunch boxes and the breakfast table minus the germs. 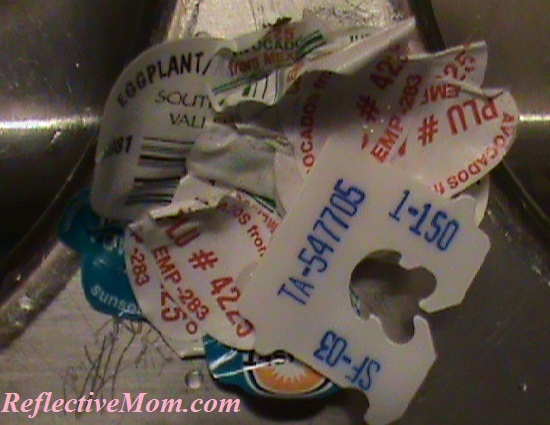 I want to get rid of little plastic tabs in juices and creamers and any other potential choking hazards that might later end up on the floor. I assembly wash everything to the counter on the other side of my sink with the hottest water possible to reduce cross-contamination with pesticides while the food in stored in my kitchen. Plus, it’s ready to eat, cook, serve! 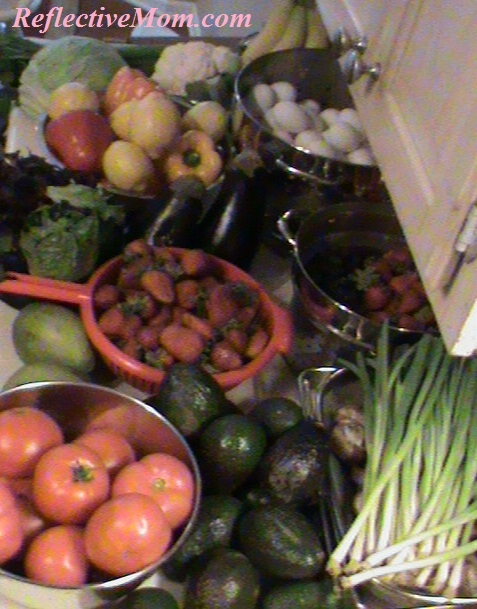 Feeling spoiled, with the fresh “just been to the farmer’s market” feeling of abundance and plenty. And that’s how I come home from Aldi . 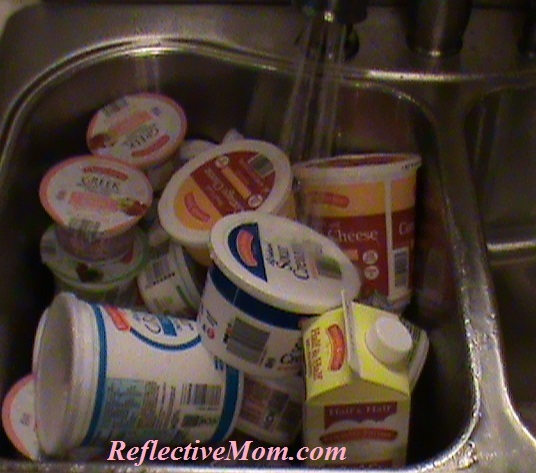 . . except I left out the part where I stand at my kitchen sink hulling strawberries and rinsing and filling freezer bags of fresh fruit for smoothies, for hours! Hope this helps; Happy Aldi Shopping! 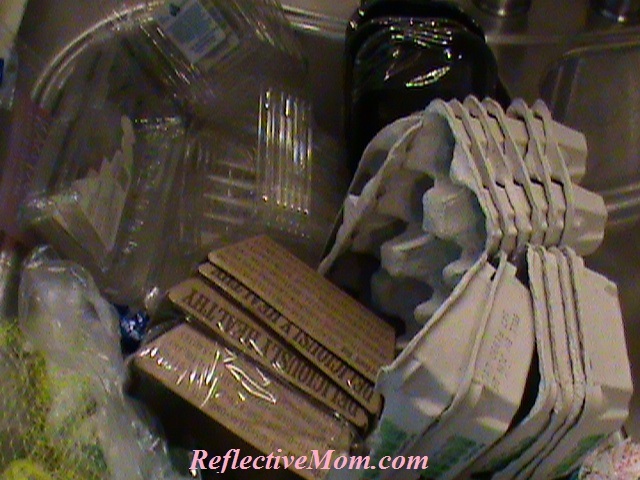 Why do I wash my eggs & containers? They’ve also been handled by stockers, checkers, and baggers, and my grimy shopping hands. 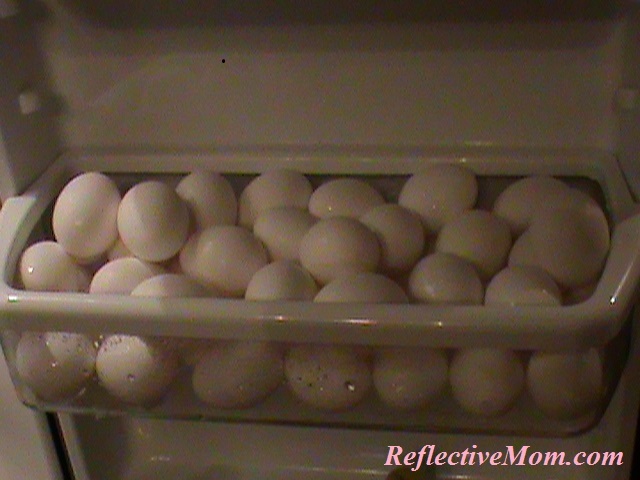 I wash the eggs, first and foremost, because they come from a CHICKEN! You know, that’s a little scary, especially if you’ve ever watched a YouTube video about it! After they come from the chicken, they roll around in chicken coup…with chicken poop. Then they get handled by humans and machines. Then they get bleached…I like to wash off the bleach because I’m not a bleach girl anymore. Any “occasionally” I have mishaps with my eggs…like when several of these ended up on the bottom of my Aldi shopping cart today, thanks to the toddler at the helm running out of cheese sticks and other sources of entertainment before we got back to the car! 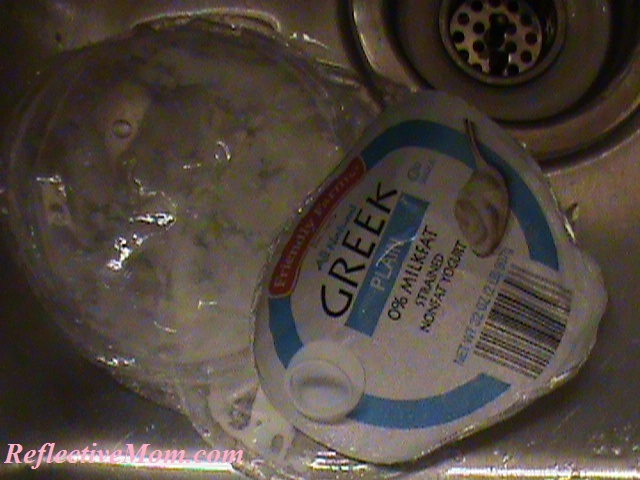 I might throw out a damaged egg that had leaked into the rest of the carton, assuming I was being vigilant for my safety, never mind whether salmonella was already developing on the carton and shells of the intact eggs, and then crack them directly on the side of the frying pan, picking out any pieces of shell that fell in.